Filing for bankruptcy hurts your credit for 10 years . 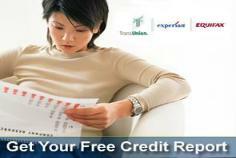 but you can start rebuilding your credit once your bankruptcy is discharged. There are companies out there that offer to help you rebuild your credit by extending car loans & credit cards as soon as your case is discharged. Also, if you already have a car loan or a home loan ... you can rebuld your credit sooner just by making your your payments on time each month. SO THERE IS LIFE AFTER DEBT! cases, the only people who know you filed are the people you tell. New Bankruptcy Laws make impossible to file Bankruptcy. are still able to get the same relief now as before the law changed. bankruptcy each year and it is not because they are bad people. they deserve, but are not able to obtain. go ahead, but you will not be obligated to. It's hard to file for bankruptcy. skilled attorney makes the process much smoother. You will never be able to own property again. to keep the property you will need to continue to pay the lien. Not True. You can file together or separately, that is your choice. together, but in some instances the spouse might not want to file. This is absolutely fine and definitely allowed by the court. You can't get rid of back taxes in bankruptcy. Not True . You can file for bankruptcy as many times as you like. discharged from a Chapter 7. Not True. You will start establishing credit from day one. Bankruptcy wipes out debt, which in turn helps your credit score. experienced medical illness. Bad times don�t make a person bad. need to get them out of the bad time. remedies available through the Federal Bankruptcy laws. difficult one, the relief provided will lift a huge weight off of you.